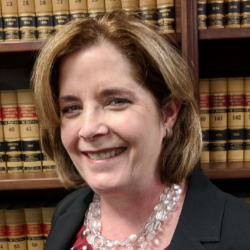 Jill Nerone is an Assistant District Attorney supervising the Insurance Fraud Division of the Alameda County District Attorney’s Office. Jill has been a prosecutor for Alameda County for 29 years, and has been assigned to the Insurance Fraud Division for just over 6 years. Jill has successfully prosecuted complex prevailing wage cases, premium fraud cases, claimant workers’ compensation fraud, and medical provider fraud cases. Before joining the Insurance Fraud division, Jill handled and tried to jury many serious felony cases, including numerous homicide cases (including domestic violence homicides), and civil commitment prosecutions in the sexually violent predator and mental health unit. Jill has also had the opportunity to supervise new trial attorneys in the district attorney’s office. Jill is a member of the California District Attorneys’ Association and is a Board Member of the Antifraud Alliance. Jill received her bachelor’s degree from the University of California, Davis in 1987, and obtained her law degree from the University of California, Hastings College of the Law in 1990.